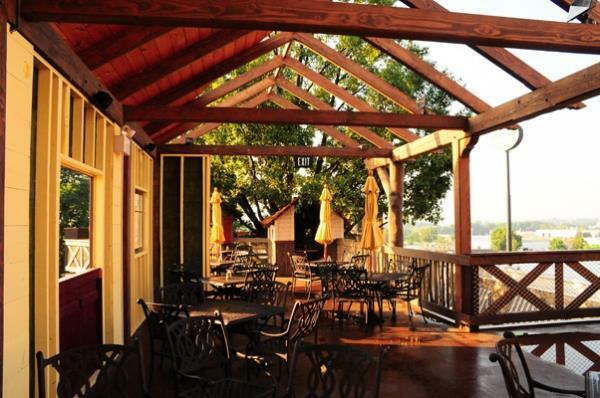 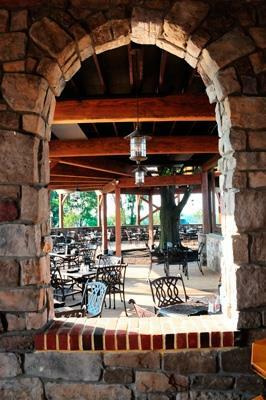 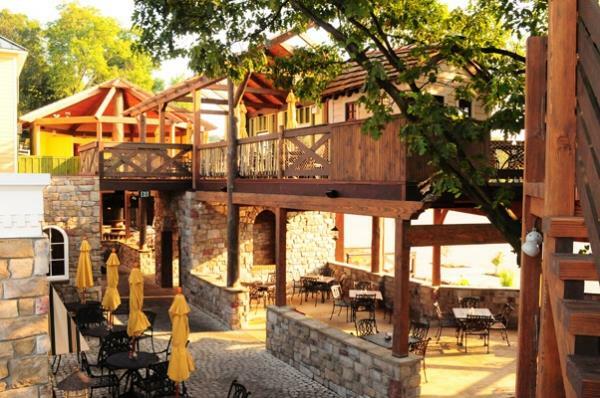 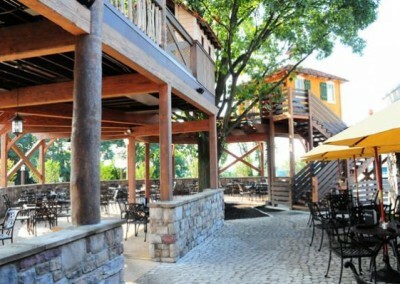 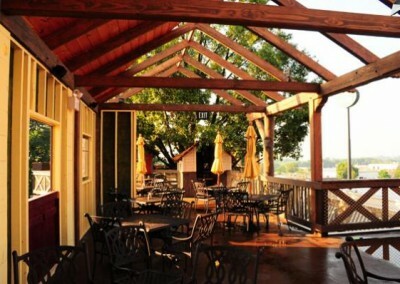 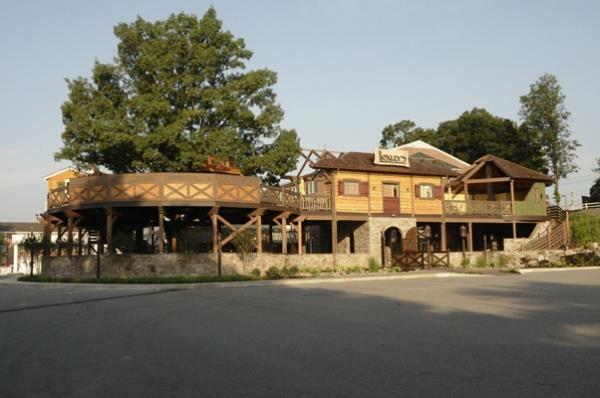 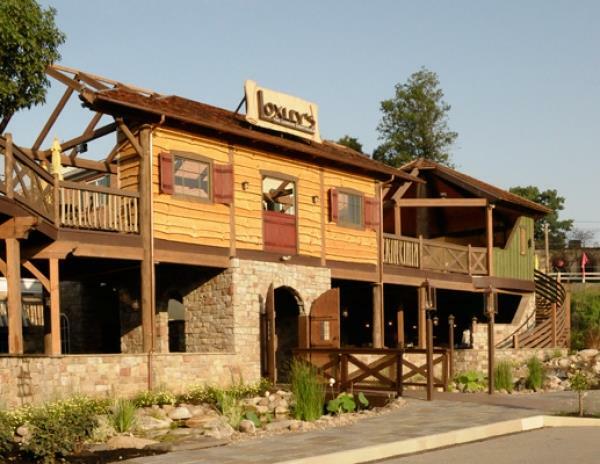 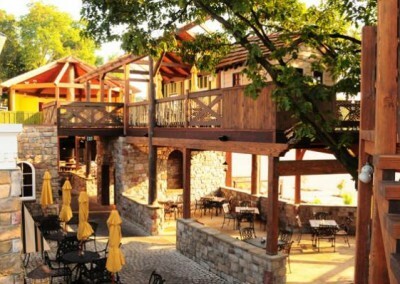 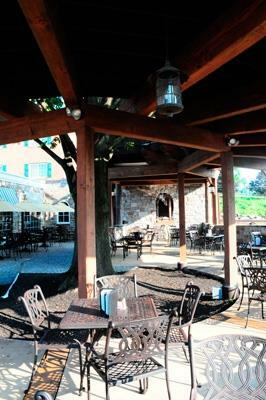 Heritage Hotel / Loxley’s Restaurant | Lancaster County Timber Frames, Inc. 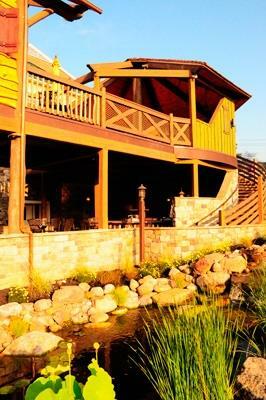 This whimsical project was our third with the design/build group of Calabrese Good Architects. 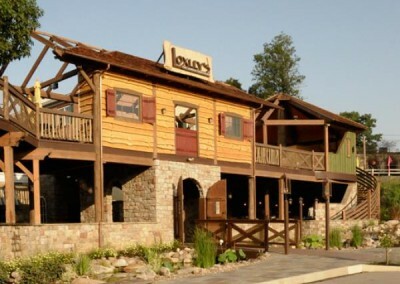 The client, last name of Loxley, conceived a restaurant – eponymously named “Loxley’s” – that evoked the feeling of the life in the trees of the forest retreat of Robin Hood’s band of merry men (Robin of Loxley – get it?). 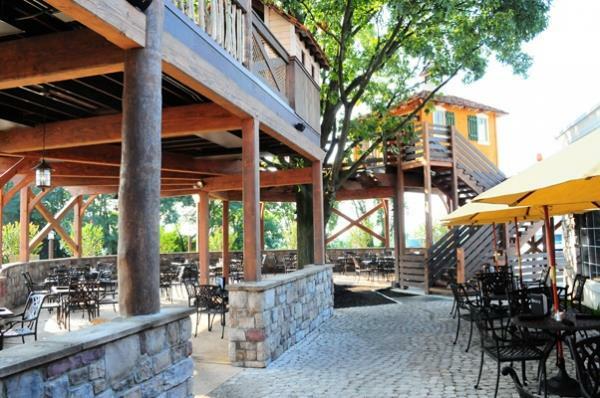 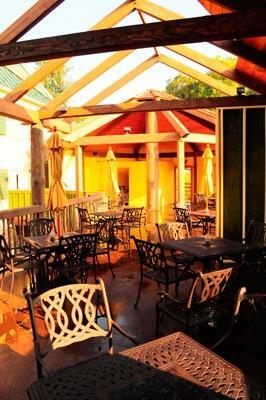 Part of the main outside dining area is built around the base of a large tree, with a second floor deck above to both shelter the lower level and provide additional seating. 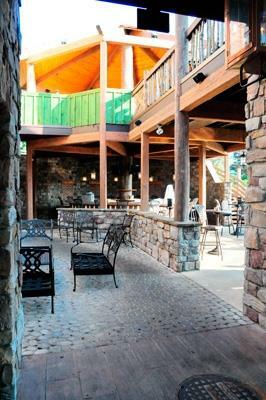 A two level bar at the opposite end of the restaurant is housed in a stone tower-like structure with a round pealed log as the central support for the second floor girts and joists and the roof framing above. 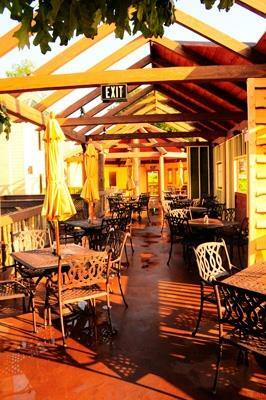 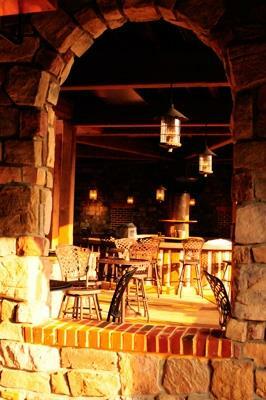 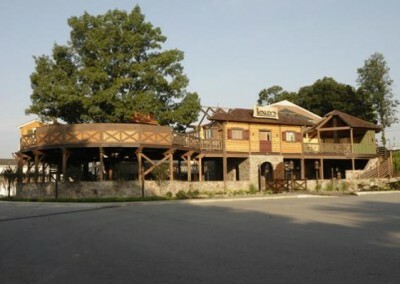 Altogether, the restaurant and bar have become an extremely popular “happenin’ place”. 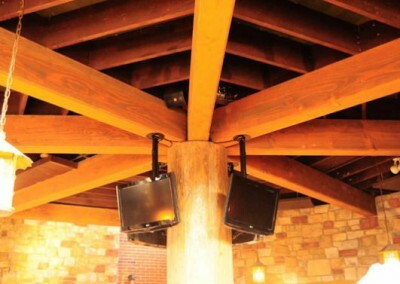 Round logs and squared timbers are used in the structure connecting the tree house and the bar tower. 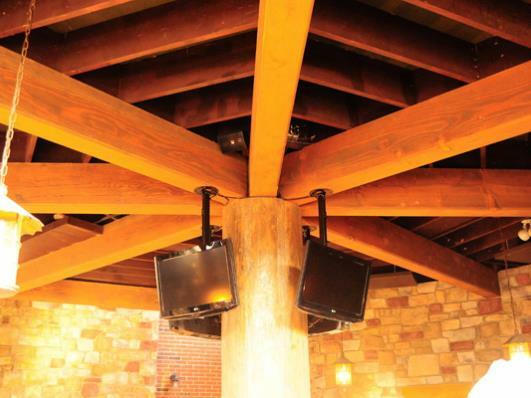 A dark stain gives the structure a patina reminiscent of a medieval building.